Jo'anna Melt Bar is a restaurant and bar in Melville. They specialise in everything to do with cheese and toasted sandwiches. Apart from their unique food it also serves as an awesome party venue for a night out of fun and drinks. One of the top places for a night out in Melville and Joburg. 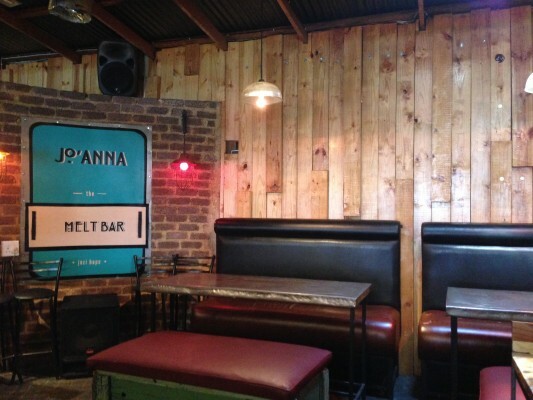 Jo'anna Melt Bar is a restaurant and bar in Melville. Boat at 44 Stanley makes the best saamies since your school tuck shop. A franchise restaurant that serves a variety of sandwiches and salads. Love Food is a cafe and deli in Braamfontein that serves healthy, home-style food.